Mount Abu situated at an average height of 1,219 mtr's above sea level is the oasis in the desert land of Rajasthan and possess the honor of being the only hill-station in Rajasthan as well as north-west India, The world famous tourist destination is known for its Delwara Jain temples and natural beauty world over, situated amidst lush green forested hills on the highest peak in the Aravali range is also the summer capital for the Indian state of Rajasthan, home to lakes, waterfalls and green forests, the hill retreat, has a very cool and soothing climate thanks to its rich flora covering the entire hillside that includes coniferous trees and flowering shrubs. Mount Abu with its word-class tourist facilities with hotels ranging from budget class to three star and heritage provides a great holiday escape and honeymoon attraction. Every year more than three million national and international tourists visit Mount Abu enjoying its scenic beauty, rich flora & fauna as well as the marble art of Delwara Jain temples. 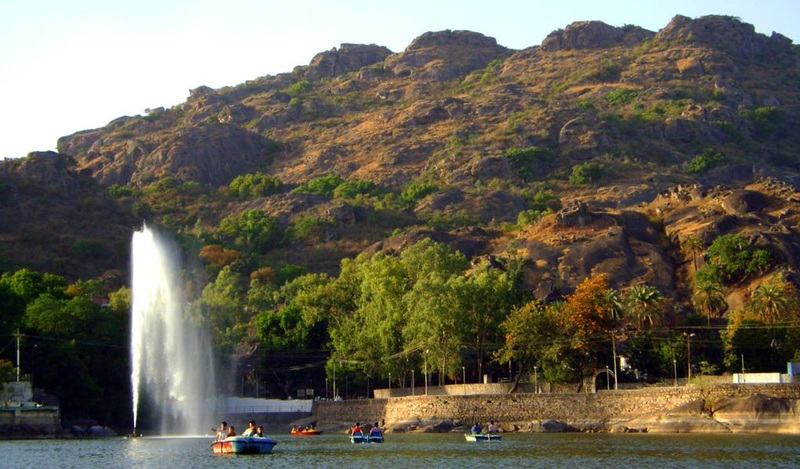 Mount Abu is declared closed area since 1965. Although, complete area of 328 sq. km. of Abu Hills is declared protected but officially 112.98 sq. km. is under un-notified sanctuary area (Anon., 2003). In shape, Mt. Abu Wildlife Sanctuary is long and narrow but the top spreads out into a picturesque plateau, which is about 19 km in length and 5-8 km in breadth. Once home to the meditating Rishimuni�s, the legend has it that Mount Abu is home to 33 crore Gods and Goddess. According to the legend the name Abu means son of Himalayas (or Ar-Booda, "the hill of wisdom"), deriving its name from Arbuada - the powerful serpent, which rescued Nandi the sacred bull of Lord Shiva. Mount Abu has been home, to many Rishimuni�s (sages and saints), including the famous Rishi Vashishtha, who is believed to have created four Agnikul Rajput clans, from a fire- pit, by performing a yagna or fire sacrifice, to protect the earth from the demons.